Dr. Diehl and Dr. Hemphill are dedicated to continuing education for lifelong learning to bring the most advanced dental solutions and technology back home to our patients in Fort Wayne. We invest in only the latest and greatest technology to improve the patient experience, making appointments and treatments faster, easier, more comfortable, and with the most beautiful, functional, and natural-looking results. If you’re looking for a Fort Wayne dentist with the latest technology, you’ve come to the right place. If you suffer from gum disease or tooth decay, like many of us do, or you just want to use the best products available to ensure you are your healthiest self, we highly recommend CariFree. CariFree is a revolutionary system of products designed to eliminate the oral pathogens (bad bacteria) that cause these and many other systemic health problems. CariFree offers a full line of toothpaste and rinses to balance your pH and create a healthier environment in the mouth and body. In the past, and in many dental offices still today, having a tooth restored would be quite the process, requiring multiple injections, temporaries, an off-site dental lab, several weeks, and several appointments. Thankfully, we’ve invested in a high-tech CEREC milling machine that shrinks the entire process down into a single piece of same-day, chairside equipment. We take digital impressions that are quick and painless (without the mouth full of goop), that we then convert into 3D digital models to help us create your new smile with a beautiful crown, bridge or veneers. We carefully select a block of durable ceramic to perfectly match the exact shade and translucency of your natural teeth. After preparing the tooth, your new restoration is created right here in our office, and we can permanently secure it the very same day. Voilà! A restored smile is like magic at Dupont Family Dentistry. Digital x-rays have been a huge advancement in modern medicine and dentistry. Digital x-rays use up to 90% less radiation than traditional x-rays, reducing exposure for both patients and our staff. 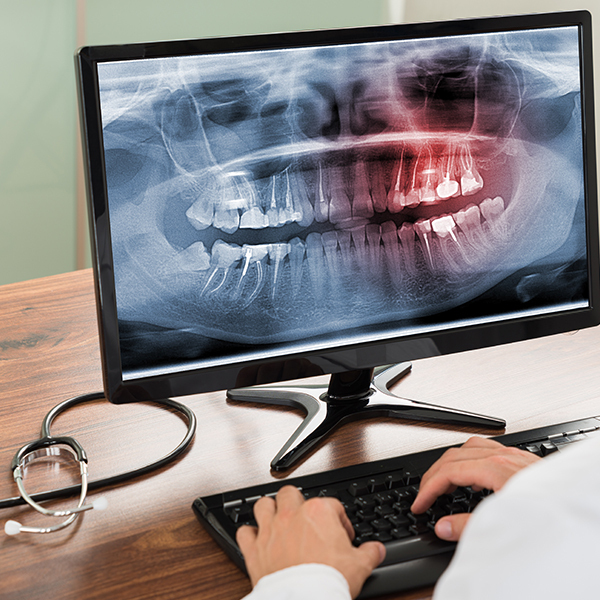 Digital x-rays can be taken quickly and easily right from the dental chair and viewed on the screen alongside the doctor, so you can gain a deeper understanding of your oral health. Dupont Family Dentistry is excited to announce a new addition to our practice’s progressive technologies: the Fotona LightWalker Laser! Engineered and designed with dental perfectionists in mind, the LightWalker has numerous application possibilities. From being able to remove decay to preparing enamel for a filling, from faster, less invasive gum disease treatment to precision crown lengthening procedures, lasers have been revolutionizing the way we’re able to help patients improve their oral health and smile aesthetics. We selected the Fotona LightWalker specifically because of the acclaim and awards its patented QSP (quantum square pulse) mode has received. Those words may mean nothing to you, but you can trust that if you require or desire any laser treatment in our office, the translation will be a higher level of comfort, a faster recovery, and results that turn you into a LightWalker believer, just like us! Our office is proud to include a CBCT machine, which stands for Cone Beam Computed Tomography. This provides us with 3D images of your mouth instead of the 2D images offered by traditional x-ray machines. The images are high quality, with a clearness that allows us to see your entire mouth instead of just a small corner. We can focus in on a problem area and generate hundreds of images with a single scan. With this advancement, we’re able to more effectively plan complex treatments like surgical dental implant placement. Oral cancer is on the rise in the United States, and currently only 15% of dentists regularly screen their patients for oral cancer. At Dupont Family Dentistry, we take oral cancer seriously, so we’ve invested in ViziLite oral cancer screening technology that helps us identify, evaluate, mark, and monitor abnormal oral cells and lesions that may be suspicious including cancerous and precancerous cells that may otherwise go undetected by a visual exam. If you’ve noticed any suspicious changes in your mouth, if you fall into any of the high-risk categories (smokers, drinkers, HPV—most of us have had or will have HPV at some point), or you just want to be proactive for your own peace of mind, come see us for an oral cancer screening today—it might just save your life. If you’d like to learn more about our technology, or you’re ready to schedule a visit and experience the difference for yourself, get in touch with us! You can give us a call today at (260) 489-1100 or schedule an appointment easily online!